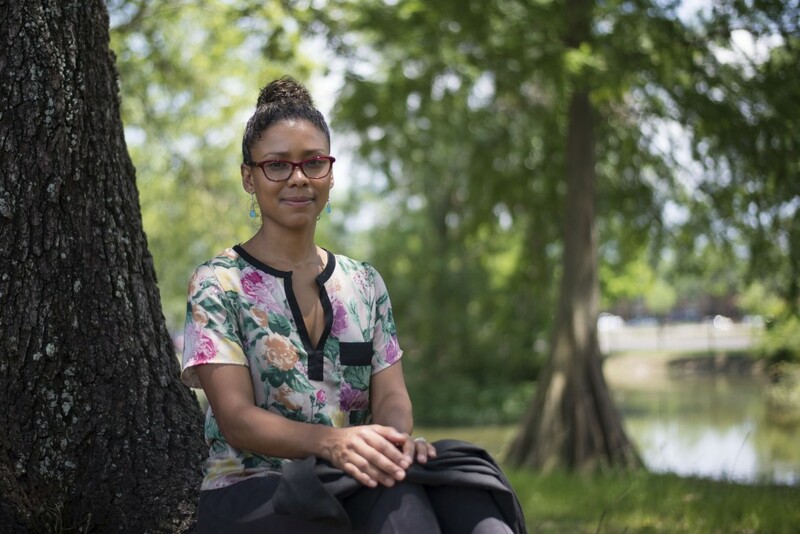 Déborah Silva, 33, poses near a pond on the campus of Dillard University in New Orleans, La. on Thursday, May 22, 2014. Silva received a master’s degree in broadcast journalism from the University of California Berkeley.